Pre diabetes condition, which is the preceding stage of type 2 diabetes, is a serious medical condition. But the good thing about pre diabetes is that it is a preventable as well as treatable condition. About 57 million people in the US are affected with pre diabetes condition. If you do not take precautions during the pre diabetes phase, it can give rise to the full blown case of diabetes. 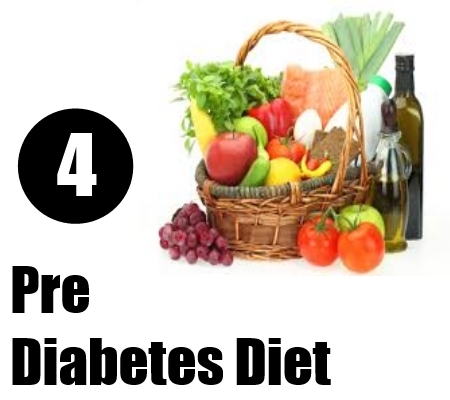 It is wise to prevent pre diabetes with the help of a pre diabetes diet and regular exercise. Some useful guidelines on a pre diabetes diet are given below.Consumption of simple carbohydrates can lead to food cravings and thus make you gain weight. Hence, they should be avoided. Complex carbohydrates aid in proper digestion and also maintain the level of blood glucose. They also make you feel full after meal. So consume foods that contain complex carbohydrates. Some examples of these foods include greens, cabbage, spinach, brown rice, celery, whole barley, water cress, broccoli, oatmeal, sprouts, buckwheat, etc. 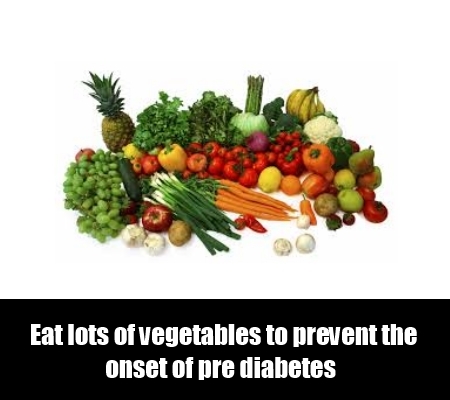 Eat lots of vegetables to prevent the onset of pre diabetes. Your diet should include high fiber and non-starchy vegetables such as green beans, spinach, carrots, cauliflower, etc. Green leafy vegetables are very beneficial. Other vegetables should also be included in your diet. Some fruits like pears, oranges, prunes, grapefruits, strawberries, etc are also high in complex carbohydrates and hence should form a part of your pre diabetes diet. While following a pre diabetes diet, you must limit the intake of high calorie foods such as cookies, cakes, chips, and ice creams. Instead of these tempting foods you should opt for healthy desserts like low fat frozen yogurt, smoothie, or fruit sorbet. But these too should be consumed in moderation. 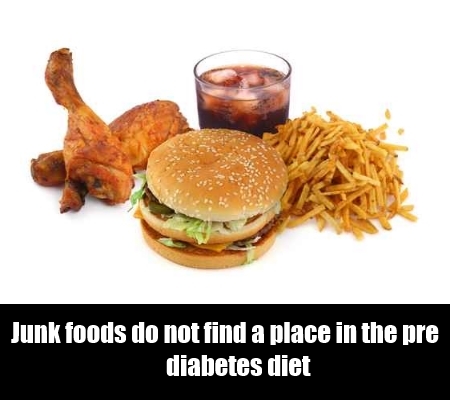 Junk foods do not find a place in the pre diabetes diet. 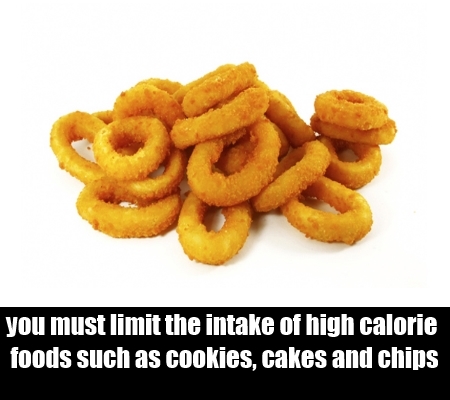 Minimize the intake of fried foods and try to consume boiled foods as far as possible. It will help you to reduce blood cholesterol levels and will also reduce fat accumulation in your body. 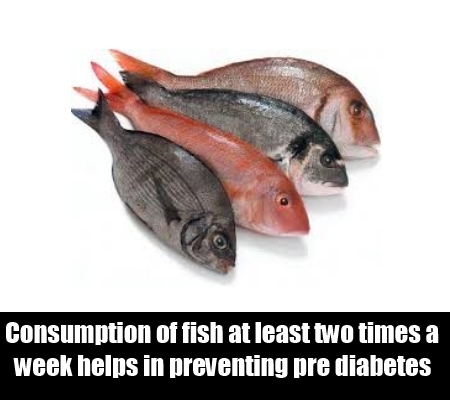 Consumption of fish at least two times a week helps in preventing pre diabetes. Also, eat cold water fish as they are high in Omega-3 fatty acids, which are very beneficial for your health. Minimize all types of sugar intake and drink plenty of clean water to help prevent pre diabetes.